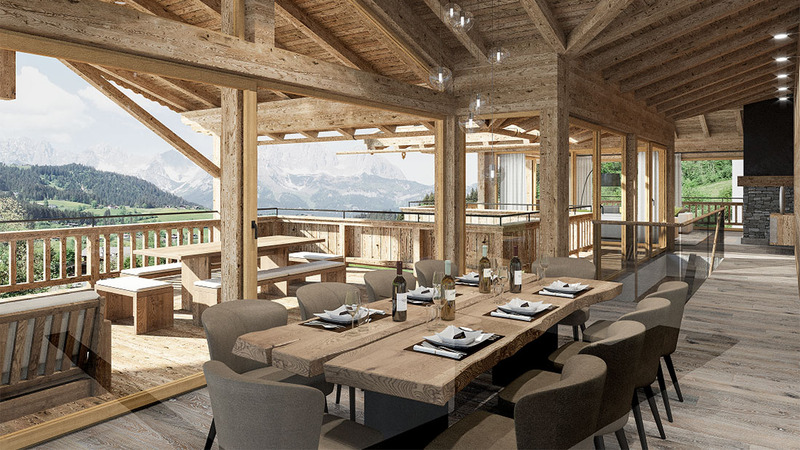 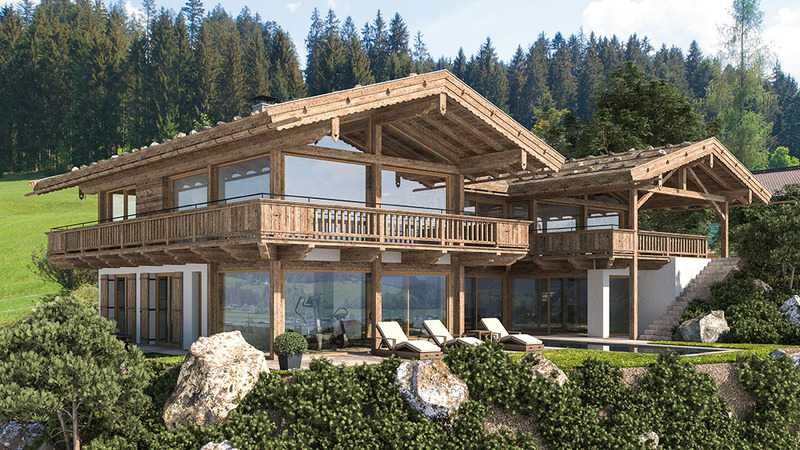 This new built chalet is located in an elevated sunny area with gorgeous views to the Wilder Kaiser mountains. 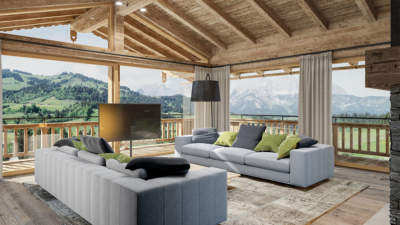 Only a few minutes by car you can reach the recreation area of the Lake Schwarzsee with a lot of bike and walking paths, the golf course and the city of Kitzbühel with the fantastic ski-region. The three-level building offers a genial room plan with an outstanding equipment and furnishing, an elevator connects all floors. The upper floor offers a spacious loft style living area with panoramic glazing. 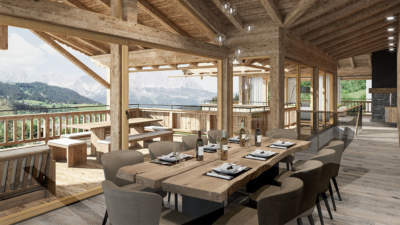 The highlights among others are a spa area with sauna, steam bath, relaxing and gym as well as a heated infinity pool outside, an underground garage for four to six vehicles, wine cellar, BUS system, geothermal heating and much else.